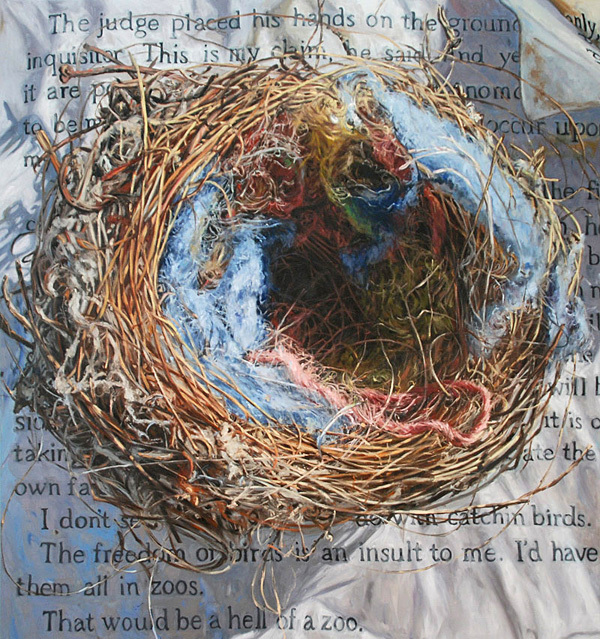 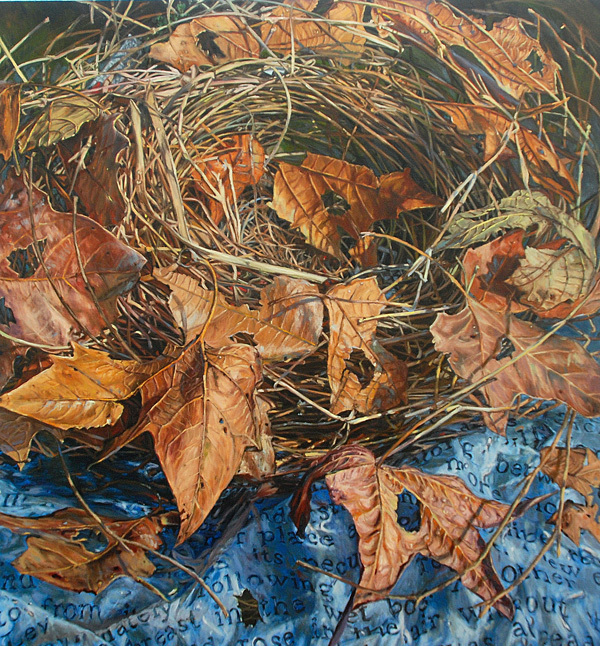 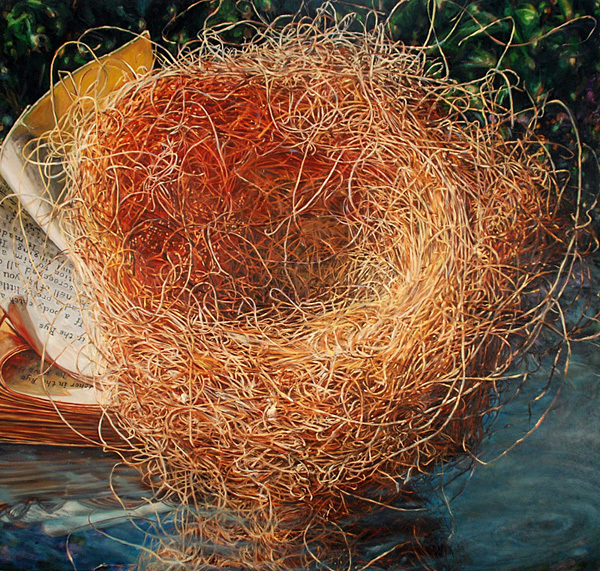 Paintings of birds nests juxtaposed with books or pages of text. 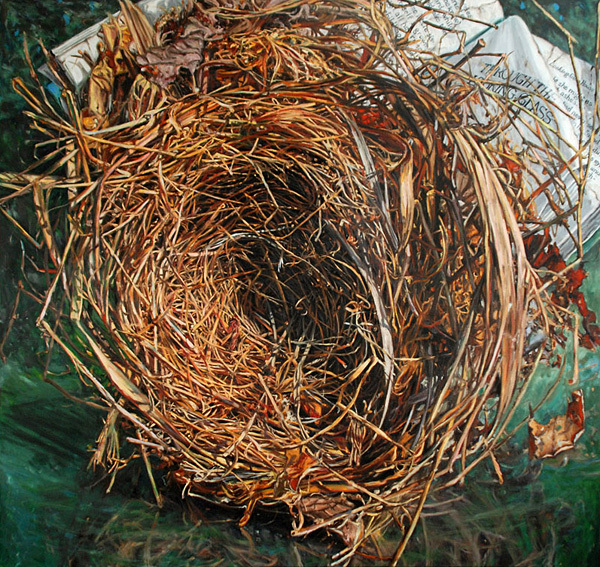 The nests are accumulations of natural elements interwoven to form cradles, architectural feats in their strength and endurance. 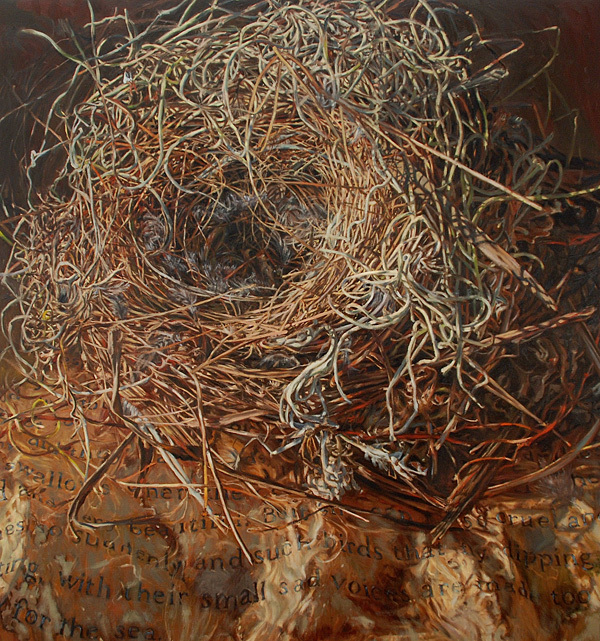 They evoke references to birth and innocence, but when abandoned they have qualities of death and decay – containers of decomposing organisms revealing heightened contradictions of attraction and repulsion. 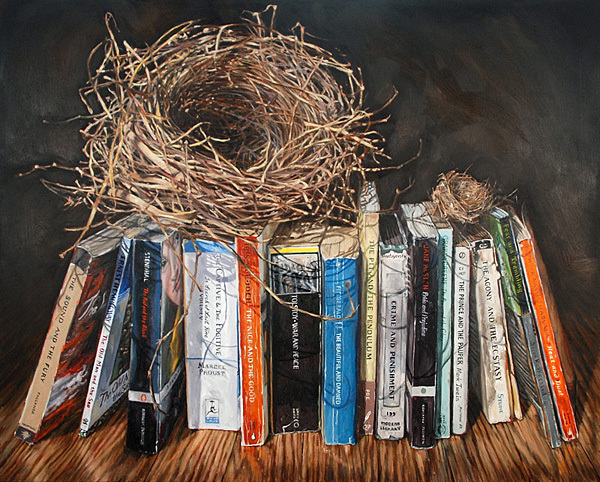 The books depicted reflect on notions of naivete versus wisdom, fantasy versus reality, and suppression versus freedom. 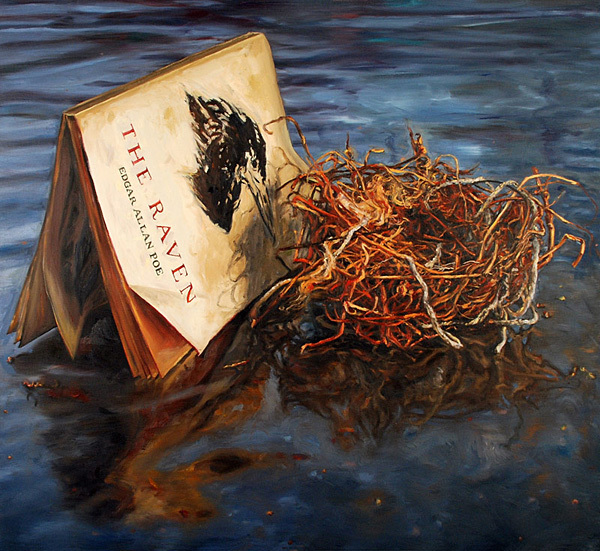 Reading has had a profound impact in forming my own perceptions. 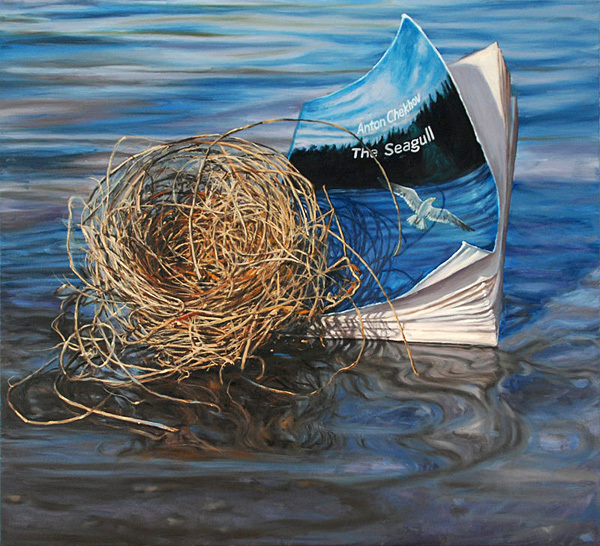 The fictional worlds created in these novels are secondary tangible realities.